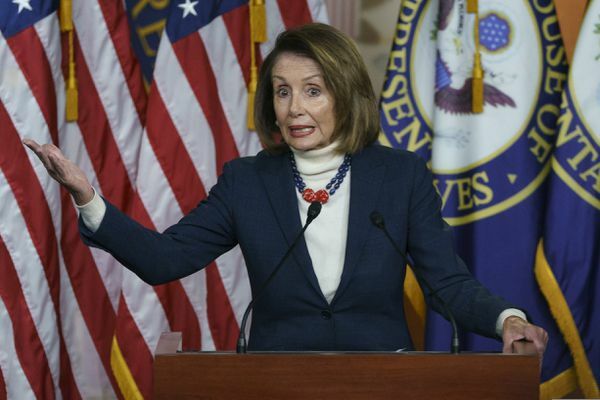 Their decision marked another failure in the White House’s ongoing attempt to splinter Democrats, who instead are holding firm against Trump’s demands for $5.7 billion for his border wall. 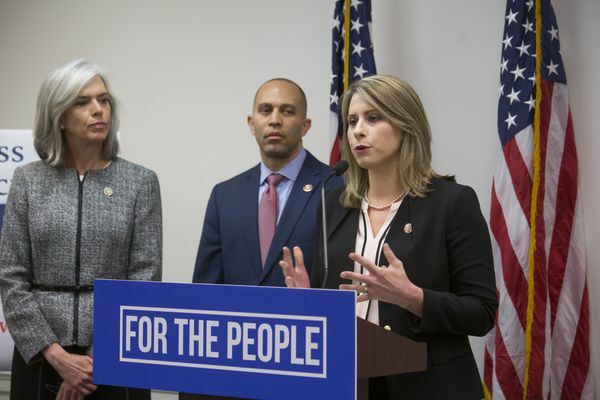 In an attempt to wire shut the mouths of those who keep insisting he should be the next Republican nominee for president, Speaker Paul D. Ryan on Tuesday held a news conference to rule that out. 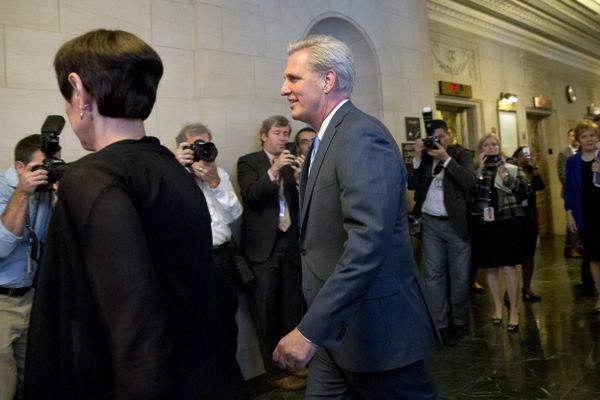 With no warning, Majority Leader Kevin McCarthy withdrew Thursday from the contest for speaker of the U.S. House, shocking fellow Republicans just before voting was to begin and plunging Congress into chaos. 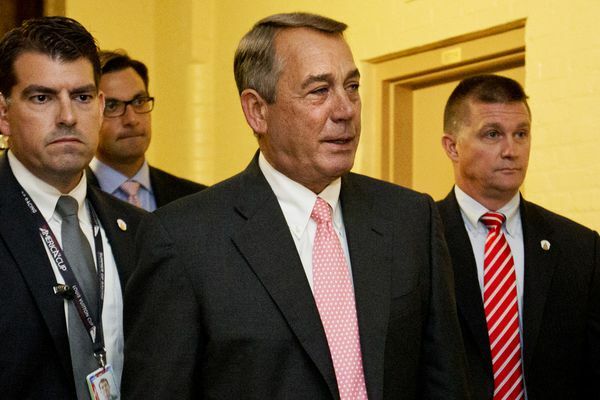 Plunging Congress into deeper turmoil, House Speaker John Boehner abruptly announced his resignation Friday, shutting down a tea party drive to depose the nation's highest-ranking Republican but opening up fresh troubles for the GOP. 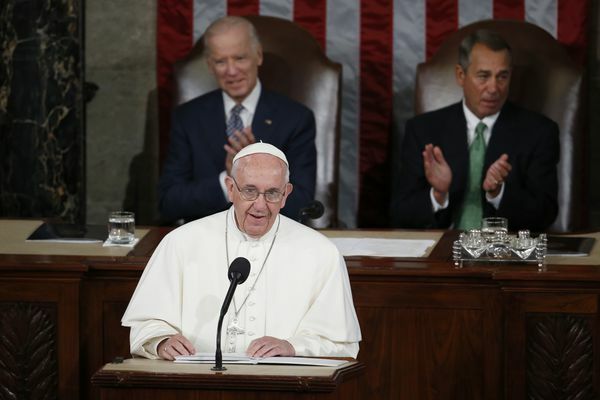 Standing before a rapt Congress, Pope Francis issued a ringing call to action on behalf of immigrants Thursday, urging lawmakers to embrace "the stranger in our midst" as he became the first pontiff in history to address a joint meeting of U.S. legislators. 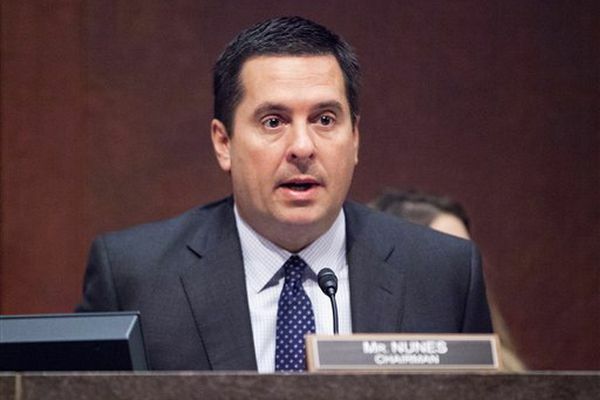 House Republicans launched last-ditch maneuvers to derail the deal, but their efforts looked unlikely to deny Obama a win on his top foreign policy priority.